New Delhi: Private hospitals perform more than thrice the number of c-section deliveries as compared to government hospitals, the Rajya Sabha was informed. Private hospitals carried out 40.9 per cent Cesarean sections (C-sections) as compared to 11.9 per cent performed in government hospitals, Union Health Minister J P Nadda said quoting the National Family Health Survey-4 (NFHS-4). As per NHFS-4, private health facilities in Jammu and Kashmir and Telangana recorded 75.5 per cent and 74.9 per cent C-section deliveries respectively as compared to 35.1 per cent and 40.6 per cent in the government hospitals. In Tripura and West Bengal, 73.7 per cent and 70.9 per cent c-section deliveries, respectively had taken place in private hospitals as compared to 18.1 and 18.8 per cent such deliveries in government facilities. In Assam and Tamil Nadu, 53.3 per cent and 51.3 per cent deliveries, respectively, had taken place in private facilities while 12.9 per cent and 26.3 per cent, respectively in government hospitals, while Chattisgarh registered 46.6 per cent such births in private hospitals and 5.7 per cent in its public facilities. 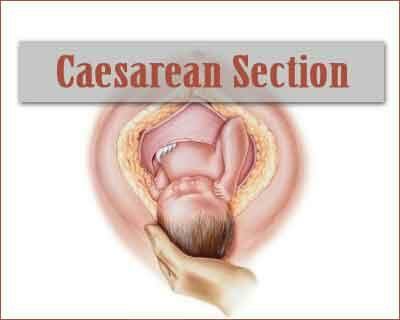 It is understood that Cesarean section rates higher than 10 per cent are not associated with reductions in maternal and newborn mortality rates. The government has already written to all states and Union Territories UT, sharing the latest WHO statement, the Minister said, adding that in addition, states have been informed to conduct periodic prescription audit in the private health facilities under the Clinical Establishment Act. A communication has also been sent to the Federation of Obstetrical and Gynaecological Societies of India (FOGSI), the largest professional body of obstetricians and gynaecologists in India, for sharing the WHO guidance note to all their state chapters and doctors registered with them, the government said in its reply. This should be compared with perinatal mortality rate in government hospital versus private hospitals.